First, you need to install Pagico on all your computers & devices. 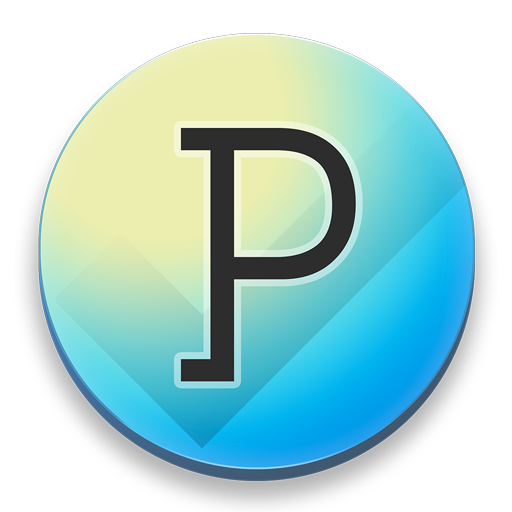 For computers running macOS, Windows or Ubuntu, please click here to download and install Pagico. Once you have Pagico installed on all your computers & devices, we can now set up the data sync, so you can access your data everywhere. Let’s work on your computer first. To sync data with your other computers or mobile devices, you’ll need a Pagico ID account to tie your devices together. You can create a new Pagico ID account right inside Pagico or in Pagico Mobile, the mobile app. To sign up for a Pagico ID account in Pagico, just switch to the Workspaces section and follow the on-screen instructions. Once your Pagico ID account is created, our server will automatically create a Personal Sync Workspace for you, and it'll be named as "Personal Sync" by default (you can change this name in the workspace settings tab). What is a Personal Workspace? A workspace is like a shared folder for your projects & contacts. Technically, it's a cloud service to sync selected data among your devices. We offer many types of workspaces with various capacity, and the Personal Workspace is specifically designed for individual users. So if you have more than one device, or if you'd like to use the Pagico Plus app, then you'll need one. The "Personal Sync" workspace will be free for you to use for 6 months, after that it has a cost of $10 / year. Simply sign in with the same Pagico ID account in all your Pagico apps, and you’re all set. By doing so, your inbox data will be connected, and all your Pagico apps will connect to your "Personal Sync" Workspace. Remember that the Workspace feature is a selective sync feature, meaning that you get to choose which projects & contacts get included in the at a sync. Just put the desired projects and/or contacts into your workspace, and they’ll be synced and accessible on all your devices. In Pagico, you can store & manage literally everything. Notes, tasks, checklists, and of course, files. And the best starting point (for literally everything) is the “+” button in the toolbar. The main “+” button lets you create a task, while the “down” arrow next to it lets you create everything else. To create a new task, simply click on the “+” button in the toolbar. Simply type things like “Lunch meeting tomorrow at 12pm” and Pagico will automatically recognize the date & time information. It will even recognize start & due dates & times! Just type “Project ABC from today to tomorrow” and Pagico will automatically assign the two dates to start & due respectively. If you clicked on the “down” arrow (or pressed the “down arrow” key), you’ll expand the popup panel and see more fields. In this expanded view, you can manually set the start & due dates/times, and you can set the reminder options. Simply enable the corresponding buttons to get reminded at the specific times. For example, “0m” is alarm at the set time, while “15m” is an alarm at 15 minutes prior, and “2d” is an alarm 2 days prior. You can easily select all the alarms you need with just a few clicks. Handy, isn’t it? The default destination of your new task is your Inbox, the ideal place for errands, small & random stuff that don’t belong to any projects or contacts. But feel free to change the destination to any existing project or contact profile if necessary. Want to include an email message or a file attachment in this new task? Simply drag and drop it into Pagico now (you can also link to files later on as well). Then hit Confirm button to save the task. Now check out the flowchart. It’s like a Gantt chart but with none of the learning curve. You can get an overview of your entire schedule here, a perfect starting point of your day. This is a very powerful feature — with this flowchart, you will never miss a thing. No matter how things are scattered in different projects or clients. Everything will be intuitively presented to you, and you can reschedule things easily by dragging and dropping. One of the core functionality of Pagico is to manage projects. To clarify, anything that involves more than a single task, note or file can be considered a project. Creating projects is easy — just click on the “down” arrow next to the “+” button in the toolbar and choose “New Project” (or keyboard shortcut Command + N). Projects can contain anything, ranging from notes, tasks, checklists, to files. The idea is simple: store everything related to a project together in one place. In most cases, you can put everything relevant into a project. But some times projects are larger in scale or complexity, so it might make sense to group a few projects together. You might notice that Pagico doesn’t manage sub-projects (yet), but that’s OK. Check out the Collections feature, which allows you to group multiple projects (and even contact profiles) together. Simply create a new static collection (click the “down” arrow next to the “+” button in the toolbar, and choose “New Collection”), give it a name, and add projects to it. Static Collections are more than just “folders” for projects. They also come with their own flowchart view, making them perfect for grouping small projects. We hope this brief guide can get you started with Pagico right away. Feel free to contact us if you have any further questions. We'll be happy to help out!